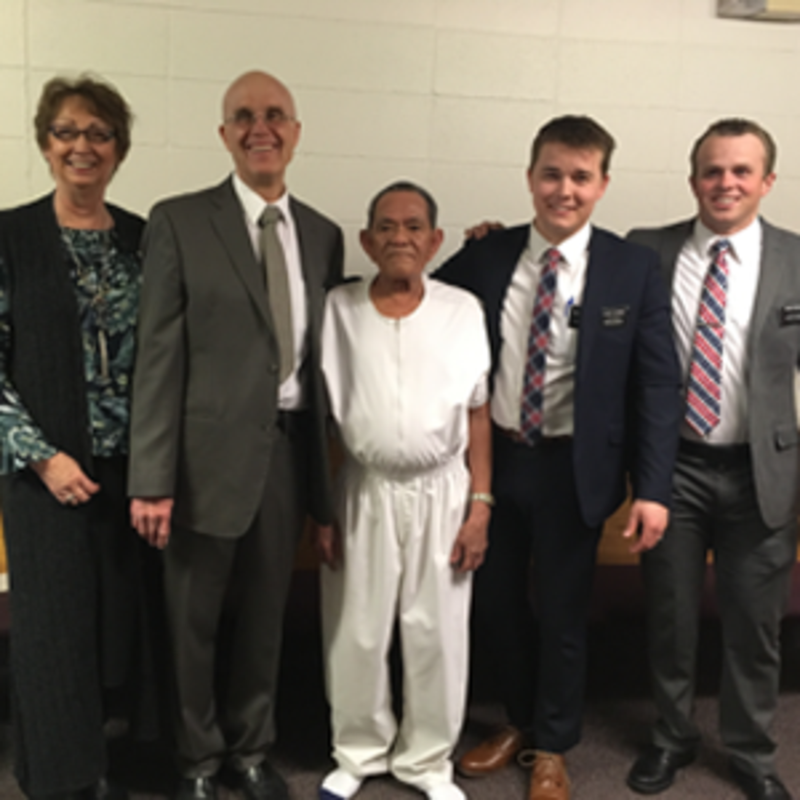 When I flew from the Philippines to visit my son and his family (who are living in Alberta), I did not imagine that five months later I would be baptized and confirmed a member of The Church of Jesus Christ of Latter-day Saints. After all, I am 77 years old. Most people would not expect that an older man would be actively searching for the “true and living Church” (Doctrine & Covenants 1:30). Driving along the street that leads to the stake centre, I noticed a man standing on his porch smoking a cigarette. As sometimes happens, the Spirit helped me focus on this man differently and gave a simple prompt, “This man needs the gospel.” I kept driving and had a little debate in my mind. I knew I would be presiding at the Sacrament meeting and would need to be on the stand at the front of the chapel in a couple of minutes. I was also nervous about the prospect of approaching a man smoking on his porch. I drove the last two blocks and hoped the prompting would go away. My wife Tami is a wonderful missionary who gives the Book of Mormon and pass-along cards to strangers and friends regularly. When I mentioned the prompting to her, I knew she would help me have the courage to do the right thing. As expected she asked, “Are we going to walk back or drive?” Because it was winter, we got back into the car and returned to the house of the smoking man. He was no longer on the porch, so we walked up to the front door. Instead of feeling scared, we felt complete peace and knew that we were doing the right thing. The Batuigas family greeted us warmly. We went inside and introduced ourselves and told them that we were on our way to Church. We let them know they would be welcome to come with us. They were in their work clothes, preparing to paint the inside of the house that they had recently purchased. We had a lovely visit with the family and knew we had found some new friends. Grandpa Rolly was extremely kind and had an open warm look in his eyes. Over the next couple of weeks, we stopped by a couple of times and let the missionaries know about our new friends. Not long after the Torrie’s drop-in visit, the missionaries came to my son’s home to teach me, and I began attending sacrament meeting on Sundays. I was interested but not sure of how to proceed. After several lessons, the missionaries brought another older man, Charles Hart, with them. He was 69, much closer to my age. After that evening’s lesson, I proposed that I meet them at the Church stake centre every Friday afternoon so that I could seriously begin to study the gospel of Jesus Christ. The lessons continued for the next three months. 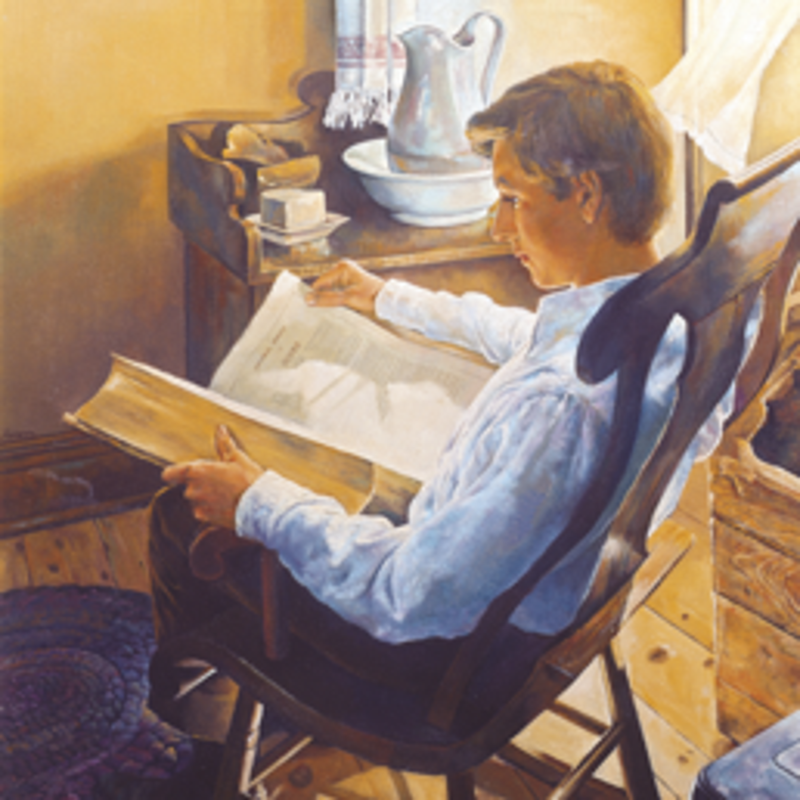 Together, the missionaries and Brother Hart guided me to understand the Book of Mormon, answered my questions about the Holy Bible, and helped me live the Word of Wisdom. For much of my life, I had been a daily coffee drinker and a chain smoker (averaging 20 cigarettes a day)—that I considered my vitamins. 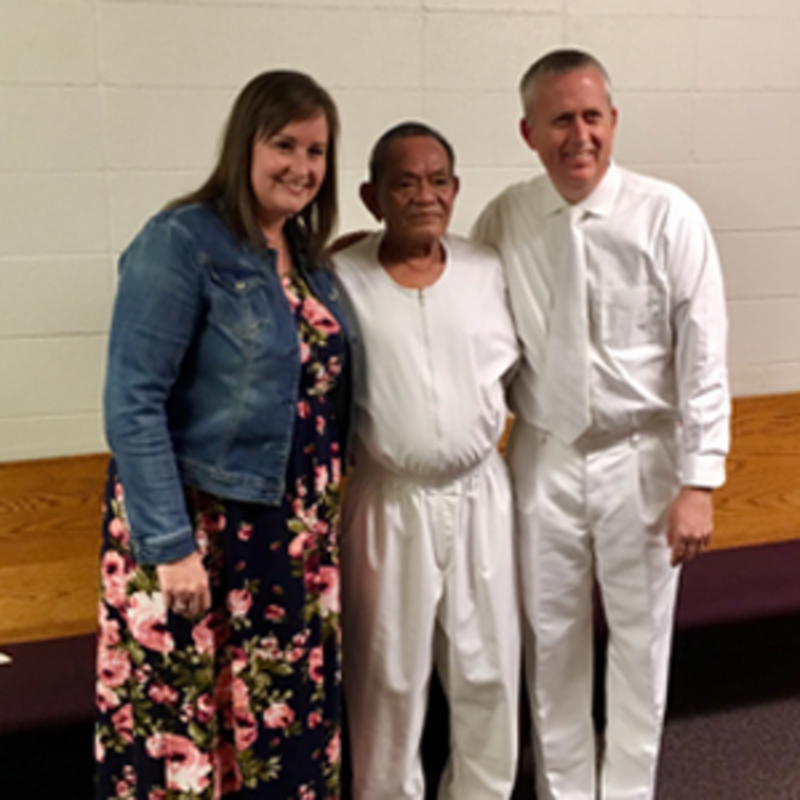 But with the help of God and Elder Darden and Elder Gregory, I was eventually able to overcome these addictions and tell them that I was not only desirous but also worthy to be baptized on April 7, 2018. The following day in sacrament meeting, Elder Darden confirmed me a member of The Church of Jesus Christ of Latter-day Saints and bestowed upon me the gift of the Holy Ghost. When I graduated from high school, our priest asked my parents’ permission to send me to 12 years of seminary training to become a priest. My parents thought this was a wonderful invitation, but I did not believe that it was my calling. I went to work, married a wonderful Protestant woman, and started a family: three sons and one daughter. I was an avid follower of the Roman Catholic Church. I was appointed President of the Society of Saint Vincent De Paul in Las Piñas City. In 1994, I was selected to be one of six to represent the Philippines to the Asia Pacific Conference held in the Philippines. In addition to raising a loving family, I also felt a deep desire to help others in need. Then came a big challenge sometime in 1979 when a group of people asked me to help develop their community. It was an area of 68 hectares owned by the government and occupied by people with no electricity, good roads, school buildings, and churches. Because I was working for a Filipino publication firm since the early sixties, I had close government ties. Even during periods of martial law, I was able to assist this community. I even received the nod of approval from the President of the Philippines and the National Housing Authority to award the land to the people that were called “squatters.” I also organized support groups for young adults to learn how to obtain employment and become self-reliant through livelihood training and organized classes for their young children. The primary principles that I tried to teach my neighbors were: Unity, Cooperation, and Love. 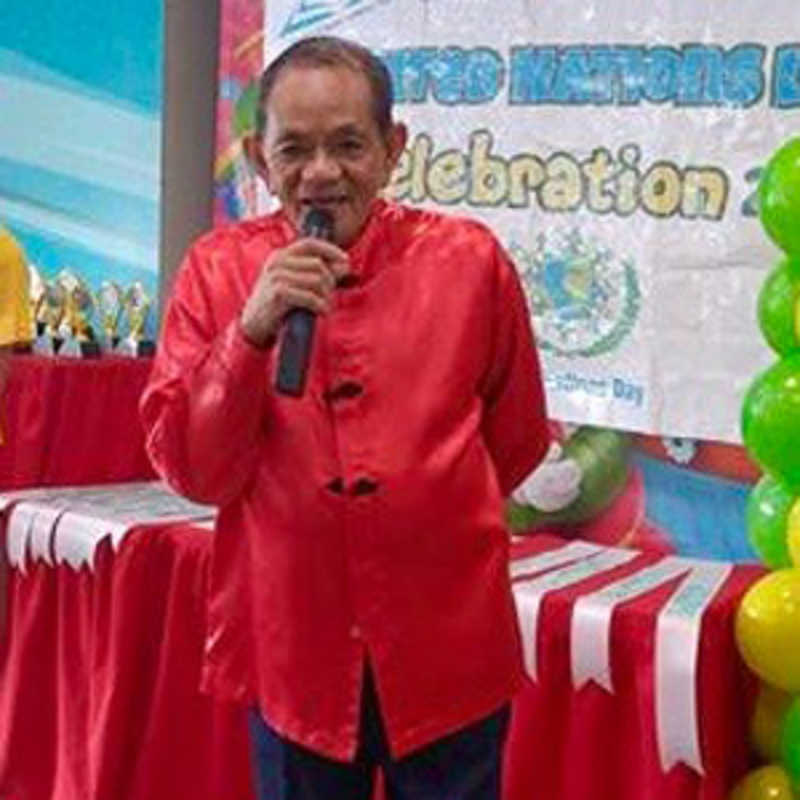 In 1994, the Mayor of Las Piñas encouraged me to organize a volunteer-supported pre-school that would help parents effectively prepare their children for elementary school. 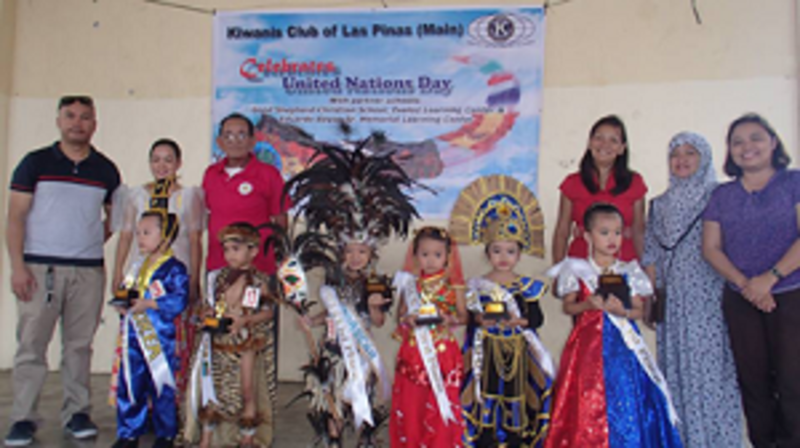 With the additional support of the Kiwanis Club of Las Piñas (in which I was a vice-president) and the Society of Saint Vincent De Paul Philippines, I was able to help establish the Good Shepherd Christian Pre-School. 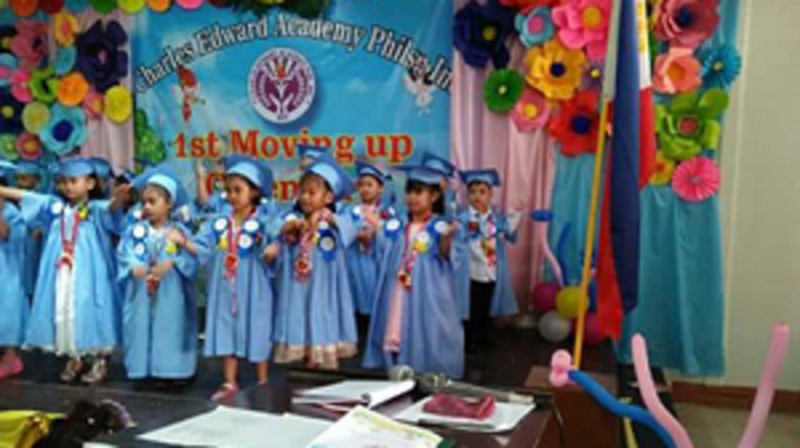 The Good Shepherd Christian Pre-School continues functioning to this day. In 2017 we were able to establish the Charles Edward Academy. It is a school at a different site that is sanctioned by the Department of Education and will include grades one and two. Many of the children who attend these schools affectionately call me “father.” One of the surprising discoveries that I made when the missionaries began teaching me was the importance of helping others: “…when ye are in the service of your fellow beings ye are only in the service of your God” (Mosiah 2:17). Suddenly, I realized that by serving others all my life, I had already been serving our Holy Father. On April 29, 2018, I will fly back to the Philippines. In my luggage I am taking with me a copy of the Book of Mormon to share, children’s illustrated copies of Book of Mormon Stories and New Testament Stories, and the recent Church’s Self-reliance manuals. Brother Hart took me on a tour of the Bishops’ Storehouse and the Church Employment Services in Lethbridge, Alberta. I was amazed at the resources that the Church has developed in Canada to help Saints in need and to teach them self-reliance. I look forward for the rest of my life to work under the direction of my Filipino bishop and stake president on how I can continue to serve others—magnifying my new sacred calling as an ordained priest in the Aaronic Priesthood. As President Stephen L. Richards once explained: “for practical purposes I like to define the Priesthood in terms of service, and I frequently call it ‘the perfect plan of service.’… It is an instrument of service…” (Ensign, May 2005). In a way, I have fulfilled my parents dream that I would one day become a priest of God. Most especially, though, I will continue to serve and love the little children in the pre-schools that I have helped establish. 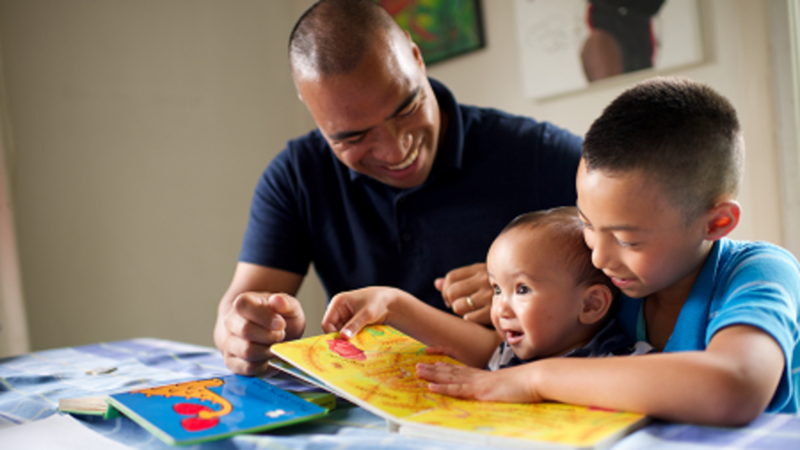 I will teach them about the love that Jesus and His Holy Father have for them. 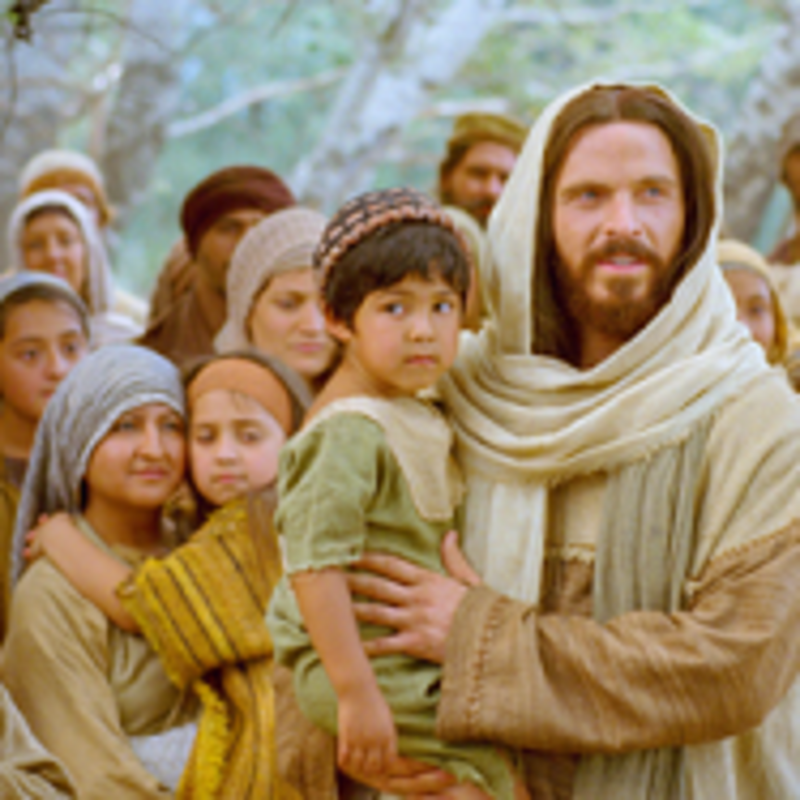 One of the most important lessons Jesus taught during His ministry upon this earth is: “…Suffer little children to come unto me, and forbid them not: for of such is the kingdom of God.” (Luke 18:16).